Brand NEW energy-efficient home ready NOW! This one-story Franklin has a beautiful entrance through a rotunda leading to your great room. The spacious kitchen features a tahoe maple espresso stagger cabinets with beautiful new granite counters. The master suite is hidden at the back of the home and features a private bathroom with dual vanities, walk-in closet, and bay windows. A large covered patio allows you to enjoy the Arizona sunset. Take advantage of the heated pool and spa, sport courts, game room, fitness center, and hobby rooms at the Mission Royale community. 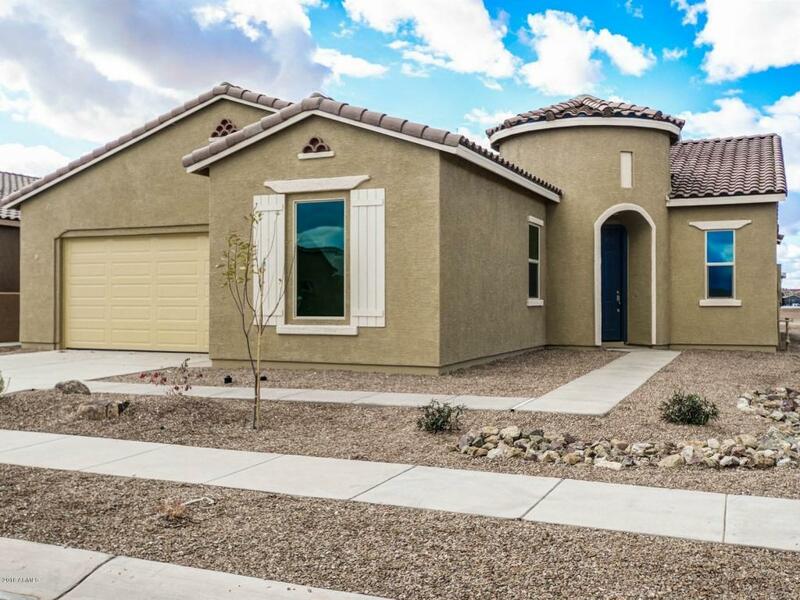 Known for their energy-efficient features, our homes help you live a healthier and quieter lifestyle while saving you thousands of dollars on utility bills.